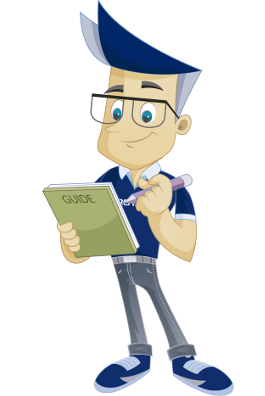 This guide explains how to set up an email account in Mozilla Thunderbird. We assume that you have installed Thunderbird on your PC, and that you have not yet set up any email accounts. Mozilla Thunderbird is a free email client that can be downloaded here if you have not yet installed it. 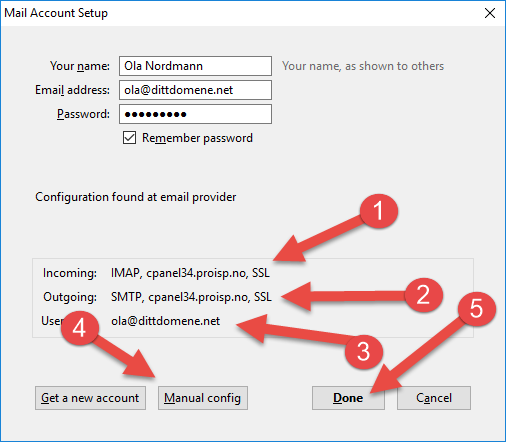 A new configuration window will appear, in which you can add a new email account. Click the "Add email account" button. Type in the name of the person using the account. This name will be visible to others. Press "Continue" in order to proceed. 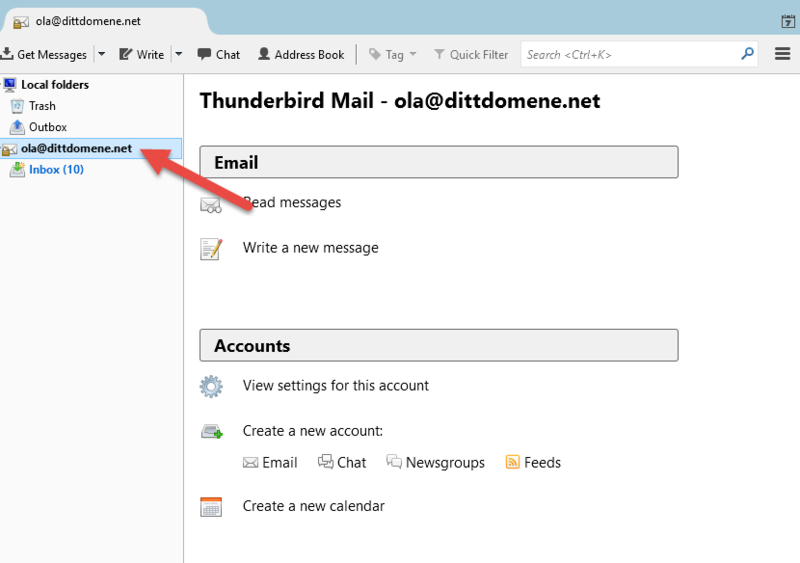 Thunderbird will now attempt to find the correct settings for your account. 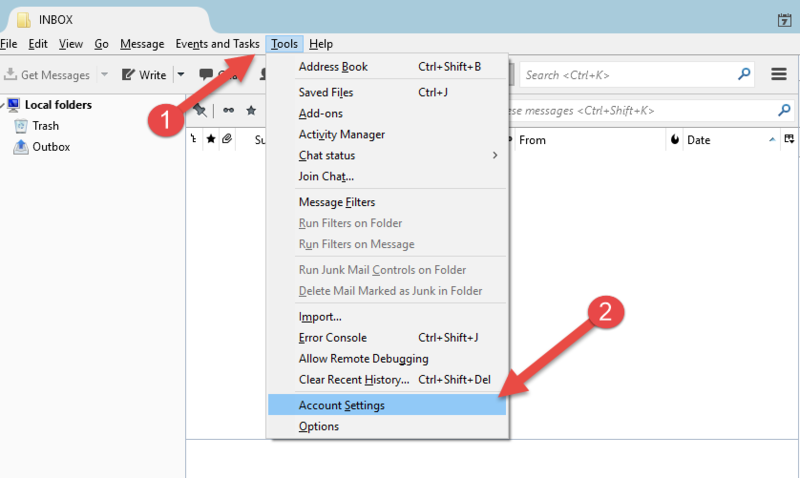 The next screenshot shows the settings found and recommended by Thunderbird. Inbound server, oppdaget og foreslått av Thunderbird. 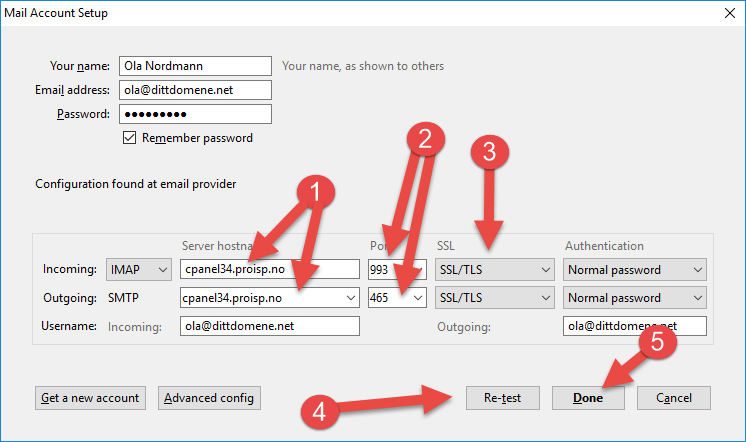 Utgående server, detected and suggested by Thunderbird. If the information is incorrect, you can go to "Manual settings" in order to change this (see next step). 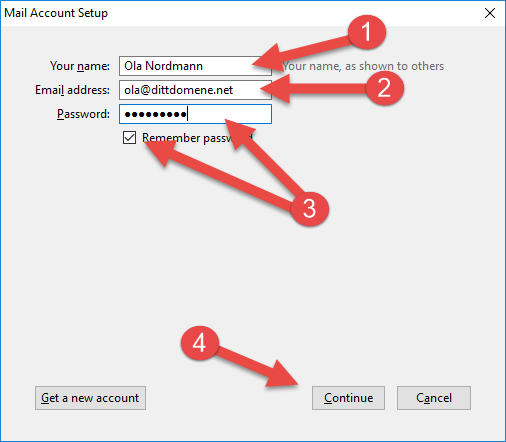 Press "Finish" in order to accept the setup and start using the account. If you would like to change the settings, this is where you do it. Inbound and outbound port number. Type of encryption used for the connection. If you make changes, you can press "Test again" in order to see if it actually works. Press "Finish" in order to accept the settings and start using the account. The email account has now been added, and you can start sending/receiving email. 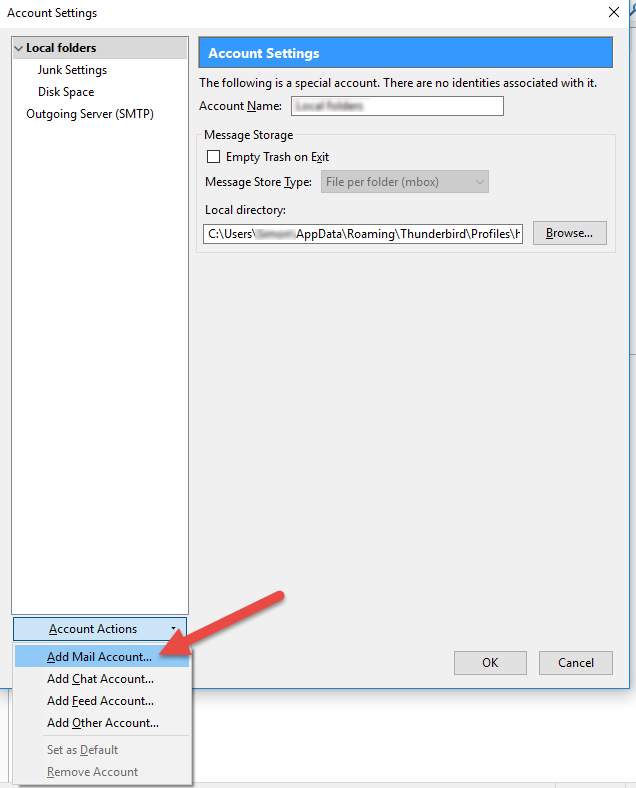 We have now been through the steps required to set up an email account in Thunderbird.